Below is the newly designed site plan showing all parcels. Detailed renderings of all six parcels of land on both sides of Pennsylvania Avenue between 7th and 9th Streets, SE, which comprise the Eastern Market Metro Plaza will be presented and discussed. Preliminary cost estimates will also be presented. The final design concept is the result of community input sessions begun last summer when a task force of citizens representing many groups and organizations on Capitol Hill first met with a design team led by architect Amy Weinstein of Esocoff & Associates and landscape architect Lisa Delplace of Oehme van Sweden to address the community’s vision for the area. For the past three months a design team, led by architect Amy Weinstein (Esocoff & Associates) and landscape architect Lisa Delplace (Oehme van Sweden), has been hard at work developing two alternative Master Plan concepts for all of the publicly owned land along Pennsylvania Avenue, SE between 7th and 9th Streets, including the area around the Eastern Market Metro Station. The overall goal of the project is to renew and upgrade the public space in this two block area, both functionally and aesthetically. At two public meetings in early December at the Hill Center (921 Pennsylvania Avenue, SE), the design team will present to the community its two alternative Master Plan concepts. The first meeting will be held on Sundayafternoon, December 8th from 1:30 p.m. to 3:30 p.m. in the Arts Room. The second meeting will be on Wednesday evening, December 11th from 7:00 p.m. to 9:00 p.m. in the Lincoln Room. The presentation and format of both the December 8th and December 11th sessions will be identical. After the design plans are presented, there will be breakout sessions to get feedback from the community. Both meetings are open to the entire Capitol Hill community and all are encouraged to attend one of the two meetings. Subsequent to the December presentations, the drawings will be posted to the project website —www.easternmarketmetropark.com – and comments can be submitted through the website until Friday, January 10th. Thank you for the more than 300 comments and ideas we received so far! Your continued participation is exactly what we need for the project to meet its goals of renewing and upgrading the function and aesthetics of the publicly owned land in the 700 and 800 blocks of Pennsylvania Avenue, SE. As a recap, here’s what’s happened so far: 1) Tommy Wells facilitated open community input meetings on July 8th and July 13th, 2) this EMMP website went live on July 15th, providing you with an ongoing way to comment — both on our blog and transportation map, and 3) a physical site map and suggestion box was housed in Eastern Market’s North Hall for most of the month through August 6th. We’ve alerted people about these through the BRMS newsletter and website. And here’s what will happen next: we will continue to collect and consider each and every comment we receive through our blog and transportation map, so keep the ideas coming! 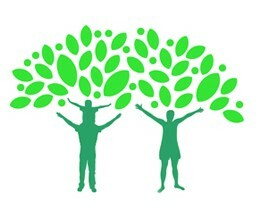 Send your ideas through the transportation site or our blog, or plan to attend one of several more open community meetings we plan to hold throughout the autumn. Stay tuned and check back often — or sign up for the BRMS newsletter. Tomorrow at 5:00 p.m., the Eastern Market METRO Plaza – Park task force will convene for a meeting. The design team for the project led by architect Amy Weinstein will present to the task force ideas for the park-plaza area which have been gathered from the community at two July public meetings, from the Suggestion Box at Eastern Market, and from the project website and blog. The design team will be seeking guidance from the task force on which of these many ideas should be included as the design process begins. The meeting is expected to last one and one half hours. The meeting is open to any member of the public who wishes to come and observe the Task Force in action. Public comments will be accepted for the duration of the project – to leave a comment or add an idea for the designers go to www.easternmarketmetropark.com.The task force is composed of citizens of Capitol Hill who live near the area as well as members of many Capitol Hill organizations. 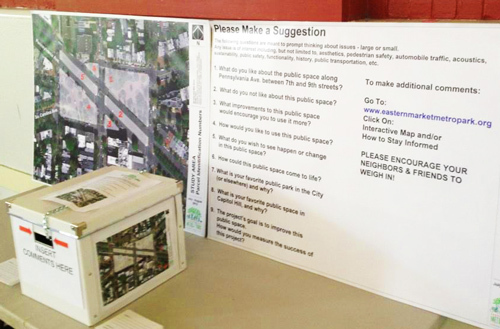 A public display of the map outlining the Eastern Market Metro Park & Plaza area up for improvement, and suggestion drop box are now posted in the North Hall of Eastern Market, at 225 7th St SE. Please visit the North Hall to make your comments. 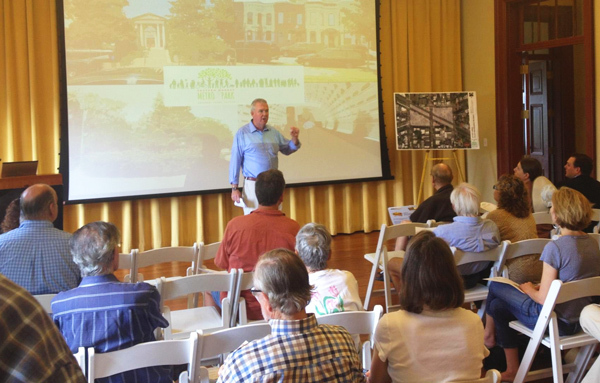 On Monday, July 8 and Saturday, July 13, Councilmember Tommy Wells launched a “Community Input Effort” to draw out ideas, suggestions and support for the beautification of the Eastern Market Metro Park & Plaza.